What's Inside The 2017 Hawaii Five-0 VIP Gift Bags? Can You Spot The Easter Eggs In This Animated Cargument? 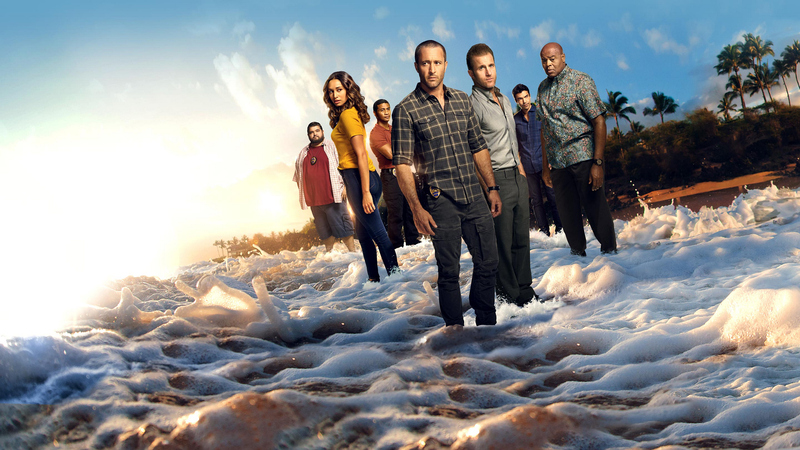 Hawaii Five-0 is a contemporary take on the classic series about an elite federalized task force whose mission is to wipe out the crime that washes up on the islands' sun-drenched beaches. Detective Steve McGarrett, a decorated Naval officer turned cop, returned to Oahu after Hawaii's former governor persuaded him to head up the new team: his rules, no red tape and full blanket authority to hunt down the biggest "game" in town. Joining McGarrett are Detective Danny "Danno" Williams, a relocated ex-New Jersey cop who is committed to keeping the islands safe for his children; Captain Lou Grover, who formerly headed Hawaii's SWAT unit; Jerry Ortega, the islands' local conspiracy theorist; and Tani Rey, a bold, recent police academy graduate. Helping them is Adam Noshimuri, a friend with old ties to a deadly crime family; Junior Reigns, a former SEAL who comes to McGarrett looking for a job; Kamekona, a local entrepreneur who has his pulse on the Island; Sgt. Duke Lukela, a trusted member of the HPD; and medical examiner Dr. Noelani Cunha. The state's brash Five-0 unit, who may spar and jest among themselves, remain determined to eliminate the seedy elements from the 50th state.